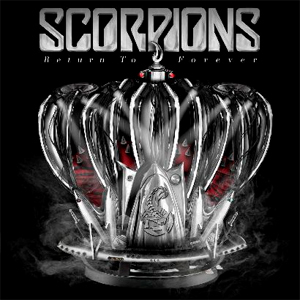 60-second audio samples of each of the songs from SCORPIONS' new album, Return To Forever, can be found via the audio player on the band's Facebook page right HERE. Return To Forever is due out on February 20th. Return To Forever will be released on CD, Deluxe CD, vinyl, Limited Collector’s Box, and several more digital and physical formats. The scorpions embark upon their 50th Anniversary World Tour in May as so far dates have been confirmed in the Czech Republic, Poland, Russia, Belarus, France, Belgium, Switzerland, The UK, Germany, and Italy. The band's complete tour schedule can be found right HERE.